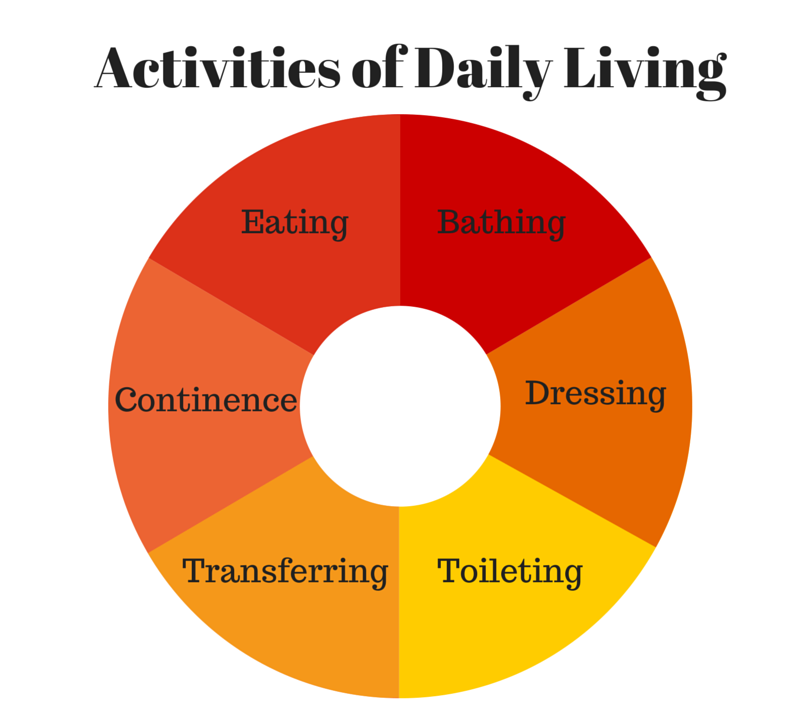 Activities of daily living or (ADL) are routine activities that all human beings carry out on a daily basis without the need for assistance. There about six basic Activates of daily living (ADL): eating, bathing, dressing, toileting, transferring (walking) and continence. A person’s ability to perform ADL’s is significant for determining what type of services and long-term care that they would need. Nearly 60 percent of all Americans who turn 65 will ultimately go into a care facility as a result of being unable to carry out ADL’s. Those who transition to assisted living homes do so because they can no longer engage in any ADL’s on their own. When this is the case, a team consisting of their primary physician, nurses, supervises and CNA’s are on site for around-the-clock care. Assisted living homes, allows much more independence and is less expensive than nursing home care. The cost is determined by the level of care the resident needs, location and housing type. Contracts can be all-inclusive or a la carte and month-to-month or longer period. The assisted living environment is more like a personal residence, compared to a large nursing home’s which looks and feels like a hospital-type setting. Assisted living is appropriate for seniors who need more help and supervision than they can get from living alone in a private house, but who still want to maintain as much independence and freedom as possible. Each facility must create a written care plan for each resident and re-evaluate the plan as needed. Assisted living homes are also for seniors who have mental and/or physical conditions that requires continual medical care and who may not be able to bathe, use the toilet, get dressed, take their medication to eat, or carry out other critical tasks without the assistance of others. Assisted living is a step below a nursing home in terms of the cost, services, and level of care provided.